As we countdown to the ceremony, Solar Power Portal is to shine the spotlight on this year’s shortlisted nominations, and today we look at the Commercial Rooftop Solar Project category, sponsored by JA Solar. 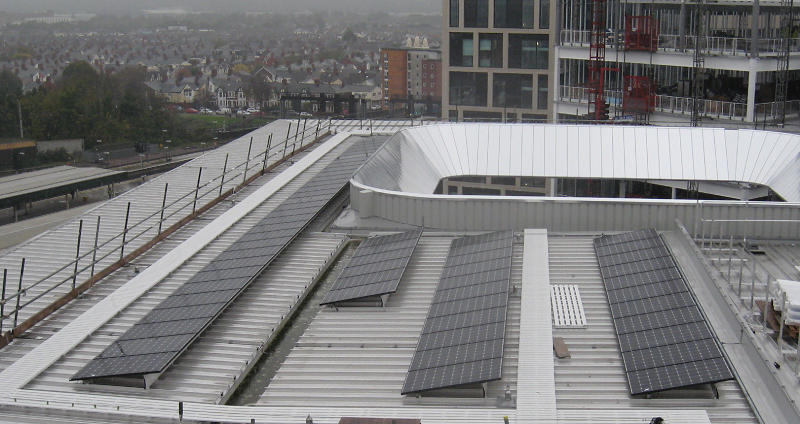 Dulas installed a 120kWp rooftop solar system on the roof of BBC Wales’ new broadcasting HQ in Cardiff, a £100 million development completed in January this year. The system is expected to make a significant contribution to the broadcaster’s environmental ambitions. Configuration of the solar array was made difficult however by the amount of available roof space, which was split across several different areas. The install therefore required a complex layout that maximised energy generation, but also a new type of inverter – SMA’s Sunny Tripower Core1 – used for the first time in the UK in this project. An innovative project completed over the course of four weeks, but will it see Dulas take home the Commercial Rooftop Solar award for 2018? Or will one of its competitors in a packed field be victorious instead? All will be revealed at the Solar Power Portal and Energy-Storage.News Awards 2018.